The music for Legend was a subject of great controversy in 1985. Initially, Ridley Scott had turned to composer Jerry Goldsmith to score the film, which would reunite them after their great success on Alien in 1979. Goldsmith responded by writing an enchanting, organic symphonic score emphasizing strings, woodwinds and choir, a score that the composer, the director of the film and many others felt was among Goldsmith's best work. After a disappointing test screening, studio executives encouraged Ridley Scott to replace the music with something that would be more commercially appealing to the film's expected youth market. Tangerine Dream ultimately composed 80 minutes of music for Legend, using 35 different synthesizers, yielding a score that many feel is the group's finest musical endeavour for film. Despite inevitable comparison between the two scores, the music that Tangerine Dream composed for the film was extremely effective and remains their most lyrical and complex work for films, from the delicate melody for Nell's Cottage, the hauntingly fragile melody for the Unicorns, the crackling percussive motif for the Goblins and the pervasive dark synthetic pulses associated with Darkness. 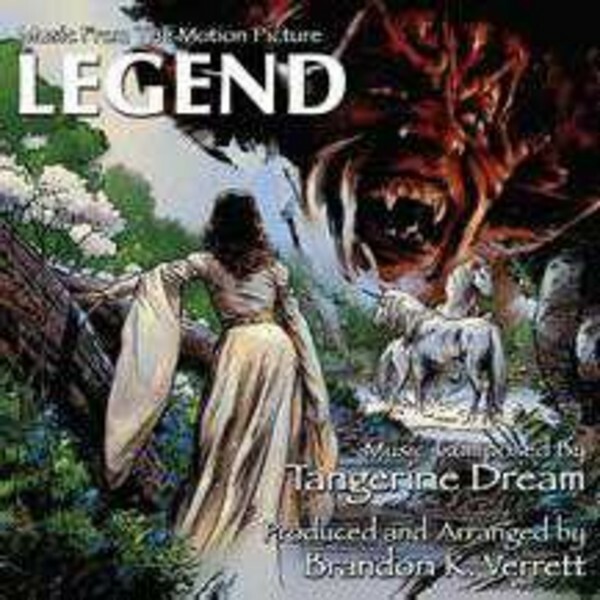 In the spirit of BSX's fondness for reinterpreting significant film scores in new musical presentations, composer/arranger Brandon K Verrett has created a new performance of Tangerine Dream's music for Legend, keeping an eye toward respect for their original performances and an ear toward the sounds of today's technology. To prepare for the project, composer Brandon K Verrett thoroughly studied Tangerine Dream's complete score. His intention for the new recording was to stay true to the familiar soundtrack performances of the original score but to do so while retaining the freedom to put his own musical stamp on the presentation.